Welcome to Grafitec Plc the UK’s largest stockist of top quality binding and finishing machinery. 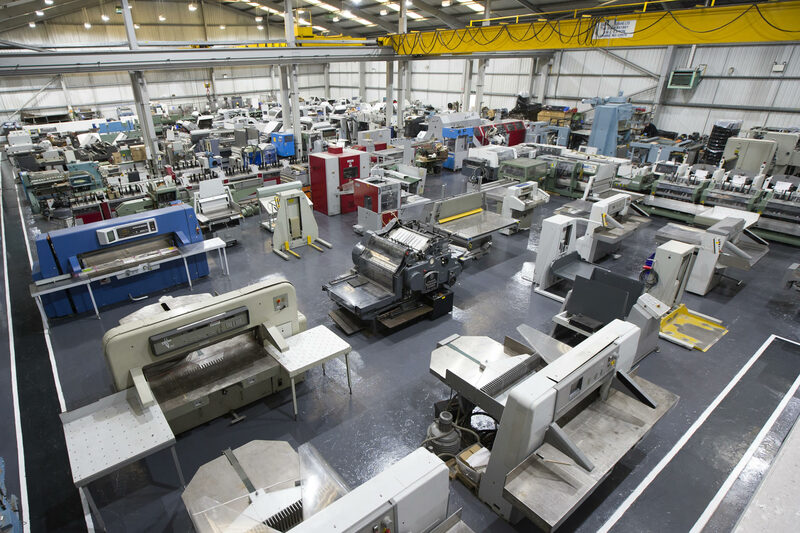 Visit our factory and see for yourself the largest display of machinery – always over 100 machines in stock – and see for yourself why Grafitec has grown so quickly into UK’s foremost supplier. See for yourself the quality of our workmanship – check with our customers here and abroad the commitment to after sales service that we give – lastly check our prices which you will find very competitive. We do not simply want to supply you with equipment now, we want to continue to do so into the future, but we can only do this by supplying you with the very best equipment with the best value for money. We have our own trained engineers to install, commission and train and help our customers bring the equipment into full production in the fastest possible time. We have personnel who listen to what you the customer wants and then offer what is most suitable for you and not what we want to sell you. Whether you are looking for Muller Martini, Kolbus, Polar, Stahl, MBO, Harris, Kugler, Bielomatik or maybe some other “hard to find” equipment, visit our listings today or simply contact us and find out for yourself the difference. With exports to over 50 countries from single simple machines to full turnkey operation, Grafitec Plc are the real alternative to expensive new equipment.